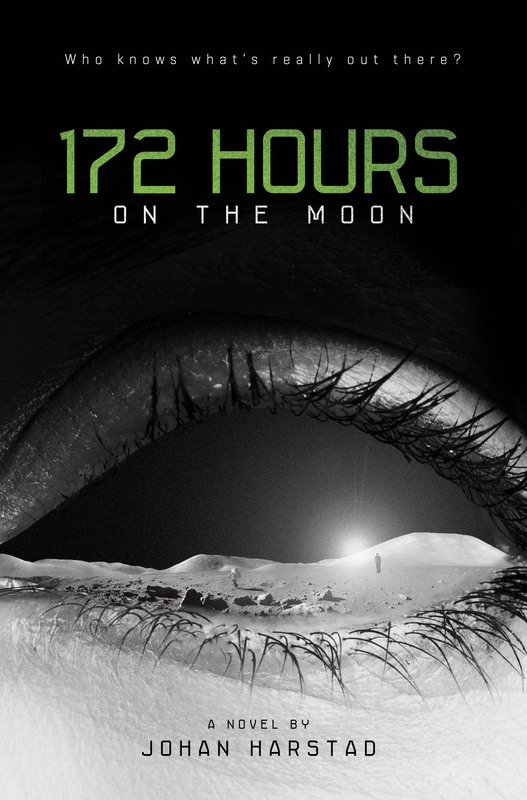 172 Hours on the Moon was absolutely the craziest and scariest young adult book I have ever read, at least since 8th grade. It’s really hard to say what exactly I liked about it without spoiling it. I’m going to shy away from critiquing the language of the book as it was a translation and I feel like there were a few parts that weren’t translated in a way that makes sense in english, however it does not effect the imagery of this novel. Especially the suspense, Johan Harstad definitely knows how to build up suspense. I remember at several points I had been reading the book at night and just couldn’t sleep because of this book. To give a bit of a comparison for the atmosphere it definitely reminded me of 2001: A Space Odyssey, it had the same sort of 60s sort of creepy foreign vibe to it and was what really made the book for me. There were also some plot choices that reminded me of the movie as well, they’re still each uniquely their own but it would be easy to recommend one to someone who liked the other. There were some things that kind of disappointed me about this book, however. Namely the organization of the novel was a bit haphazard, I felt like there was a lot of things that just seemed more random than purposeful but at the same time gave off a feeling of having a purpose while reading. By the end of the book it just felt like most of the scarier parts of the build up were just there to scare, not to build up a plot. However this haphazard type of organization also provided a way to introduce us to multiple characters without having a specific main character. I loved this. It was such a breathe of fresh air, as this sort of narration seems to be getting rare in fiction. It also allowed for the ending to have happened the way it did without it being revealed until the right moment. Which brings me to my last point, I wish there was more to this novel. It was such an enjoyable story that just seemed way too vague for the amounts of epic it contained. I would have loved to hear more about the horrors they found on the moon. The amounts of nerd put into this book made it a worthy read for any who enjoy a bit of nerd culture. Ready Player One is the story of Wade Watts, a young treasure hunter in a virtual world called OASIS, as he searches for the ultimate treasure left behind by the game’s designer. I picked this book up solely because of Wil Wheaton. Through his appearances on the Guild and Big Bang Theory and this epic game of Dungeons and Dragons I watched on YouTube one time, I have become a big fan of his geeky works. So when I found out he read the audiobook for Ready Player One, I decided I had to listen to it. And I’m honestly glad I did! Ready Player Oneis not the best book ever written, but it is a highly entertaining one. It is really the plot of the book where it fully shines, though it is not overly original or spectacularly made. Cline seems to have just taken some great elements of stories and meshed them together into one, creating a rather entertaining novel though not really ground breaking. Despite the horrendous amount of info dumps, I really don’t have much to complain about when it comes to the writing. It was a pretty straight forward prose. In many ways, I’d have to say the info dumping kind of added to the main character, which feels super weird to say because I hate info dumps more than anything. At least Cline had a knack for writing them and it seemed to fit well with a rambling geek of a character who probably could have spent twice as long talking about any of the subjects that were brought up in the info dumps. It really doesn’t create for the most interesting narrative, but it does create a real character and I was rarely ever bored through them. Another aspect of that saved the info dumps was Wil Wheaton. I don’t think a better voice could have been chosen to read this novel. He made it easy to imagine the novel as a character telling people of his exploits a couple years after the events happened. The audiobook, in a sense, made it feel more like I was listening to an epic autobiography rather than a work of fiction. This book also had a rather unique way to make a lot of really weird stuff happen without it seeming out of place, after all anything is possible in a virtual world. I think the author did a good job of showing how having a life in the virtual world can really effect who you are irl. He probably could have gone deeper into it, but that really wasn’t what the story was about so it never seemed to have mattered. It seems to me that a lot of people focus on the 80s pop culture mentioned in the book, when to me that just became an added a dose of realism to the world created. Ready Player One was simply a great adventure of a book, that really just put me in the mood to play wow and classic video games… which in retrospect probably counteracts the message it was trying to give. So I have a confession to make: I haven’t actually seen any of the Batman movies. Yeah, I know! It’s probably a big shocker, especially with the popularity of the Dark Knight. However, I did sit through that one… half asleep the whole time… which, in my defense, was not the fault of the movie but rather my failed attempt at ice skating and how late we waited to turn it on. Anyways, after seeing the Avengers on Monday, I have gathered a new interest in Comic Book Movies. And so I have decided to give the Batman Movies another try. Seeing as I have never seen this version before and it was directed by one of my favorite creative types, Tim Burton, I figured it was as good of a place to start as any. I honestly didn’t enjoy it at all. Sure, there were a couple of interesting parts. I loved how they captured the comic book feel and it did seem to have the Tim Burton feel to it, but the script lacked greatly and thus I was disappointed. This movie did appeal a bit to my inner bad movie lover, however, which is probably a good thing as I would have given it less stars otherwise. Though I don’t think I’ll be continuing on with this version of Batman, I think I’ll just skip along to Batman Returns. Let’s not talk about how I didn’t make it to 50,000 words. And stopped before I crossed that finish line. four thousand two hundred thirty-seven. I started writing for fun again. I did start reading a bit more than usual. I got five days with the one I love. Admiring the glitter of snow while holding hands. Coffee is making its way up my drinkable beverages list. Tumblr has lost its appeal as a procrastination machine. look like a spec of dust. Anyone else miss those days when the world seemed so simple? Harry Potter has always represented that time for me. A time when all I wanted was my own letter to Hogwarts so I could get out of my own Dursley-ish hell. It’s been ages since I first picked up Harry Potter and the Sorcerers’ Stone, it has long passed from the minds of the world, and yet I’m still here. I’m dealing with barely having enough money to do the things I need to do, much less want to do. A harsh reality. Not knowing where to go or what to do. There’s this sense that I’m alone in the world in ways that I don’t want to be. My parents don’t care much more than they have to, they have their own problems to deal with as they can barely take care of themselves. My friends have long been disconnect. And my boyfriend is the sweetest soul in the world and I feel bad constantly asking for his help. It’s not fair. Not fair to him. Not fair to me. Not fair to life. But here’s the problem. No one really seems to like me. I don’t know why. Am I blinded to something that everyone else notices? I just want to know what this wall is between me and the rest of the world. This thing that keeps me isolated from the good parts of this world. The friendships. I wrote this a few weeks ago. Things are better now.